In Room 14, we have used bubbles to investigate rainbows in our weather studies, create art and study sounds and produce texts. 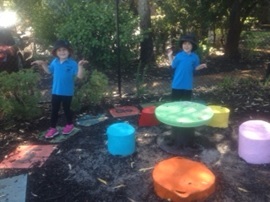 Our beach role-play area promotes imaginative play with experiences of water and sand discovery and a variety of fine motor skills activities such as fishing using magnetic rods. The children use oral language to interact and develop social skills such as sharing. 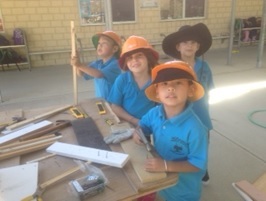 Our outside play areas allow for many STEM activities such as construction. Our Fairy Garden gives lots of joy and plans are being made to add to it through Technology and Enterprise activities with the children.